Now you can decorate your desk by adding an attractive and useful personalized Mouse pad to it. As a result, this colorful and unique accessory adds functionality and style to your workplace. 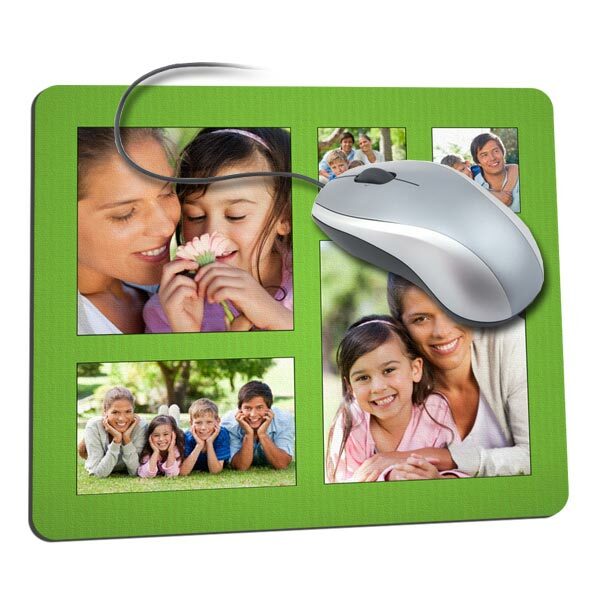 MailPix’s customized mouse pad can be personalized in different ways. You can either add one of your photos to a blank background or you can use one of our many pre-made templates. There is even an option to include your name or a favorite quote for a creative touch. Upload your favorite family photos, vacation pictures, and snapshots of your pets to make it an office accessory you can’t go without! Furthermore, our custom mouse pads have a durable backing for everyday use. Mailpix has excellent customer service and are very professional. I had several questions for them and they responded within hours with the answers to all of my questions. I purchased 2 mouse pads from them through Groupon so I’m looking forward to getting them. Love this company! The rep I contacted was so helpful and expedient! I ordered a mousepad and they helped me with a mistake I had made. I couldn’t have asked for better customer service. Plus the quality of work they do is excellent! Mailpix has been one of the most helpful experiences with great customer support and feedback. Initially, I was frustrated because I had difficulty with ordering and shipping. Their customer service not only helped me with the issue, but they went over and beyond to compensate for the event. Their feedback was timely and addressed every concern I had. I am not only going to use them again, but I also will recommend them to friends and family. I can’t recall having such an easy and helpful process with customer service from any other product.